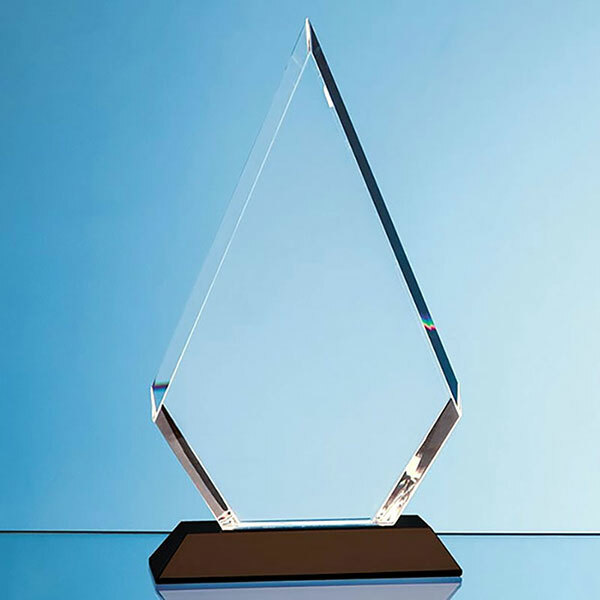 Superb glass awards plaque crafted in flawless optical crystal in peaked diamond design with thick bevelled edges. These clear crystal awards are mounted on a black onyx bevelled base. They can be engraved, or colour printed, onto the flat front of the award.